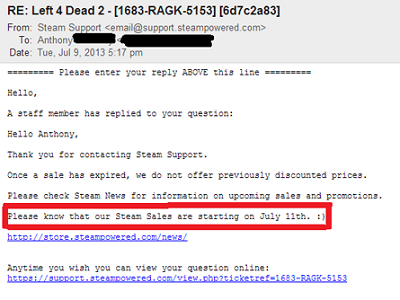 A leaked email points to a July 11th start date for the Steam Summer Sale. While the summer months are privy to discounts and sales from most every corner of the game industry, Steam's Summer Sale is the centerpiece that bargain hunting gamers wait for. With heavy discounts often slashing games down to mere fractions of their regular prices, it's a chance for fans of most every genre and franchise to stock their library for less. 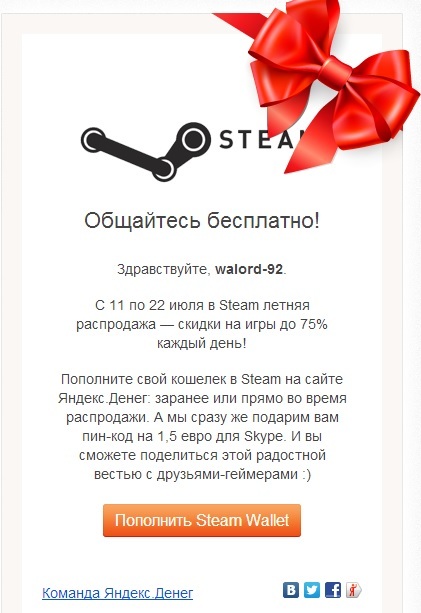 Now, if an email from Steam customer support is to be believed, it could be time to ready your wallets and prepare your PayPal passwords, because Steam's Summer Sale may finally be here. According to an email from Steam customer support, the Summer Sale is set to begin tomorrow, July 11th. 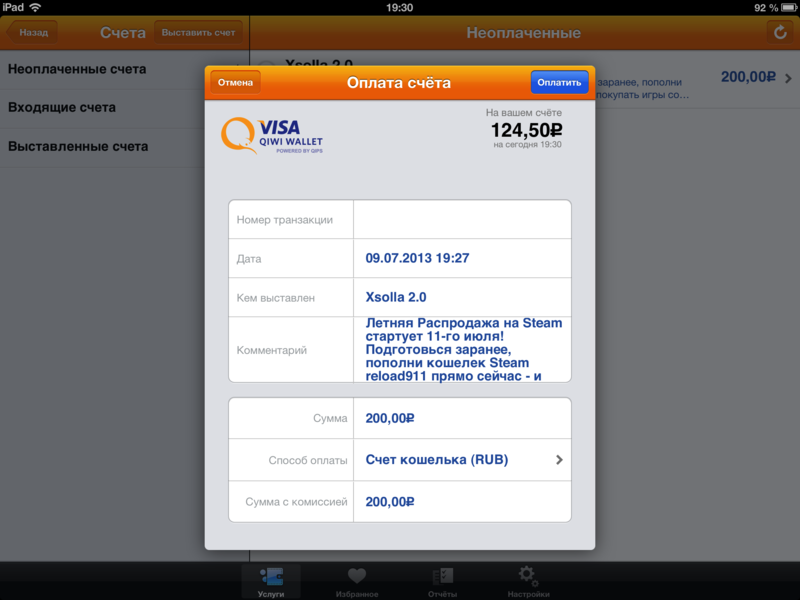 While the email could be mistaken or a fabrication, it's corroborated by offers sent to customers in Russia by Steam payment partners QIWI and Yandex Money. Both point to July 11th as the starting point of the Summer Sale. Add in the fact that we're already pretty deep into summer and it would kind of make sense for the sale to start at least some time in the near future. Granted, even with the accumulated evidence, this all still falls firmly under the "rumor" category. In the least, we won't have to wait long to find out if the rumors are true. With July 11th less than a day away, it's only hours until we find out for certain. If it doesn't begin the question, of course, will be when we can expect the Steam Summer Sale to finally kick off. Summer only lasts so long and those feelings of consumer guilt won't create themselves, after all.